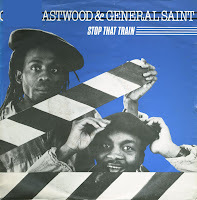 Clint Eastwood and General Saint hail from Jamaica and recorded reggae music during the early Eighties. 'Stop that train' was their only significant international success, peaking at number 3 in the Dutch Top 40 in early 1984. The single was taken from their 1983 album of the same name.